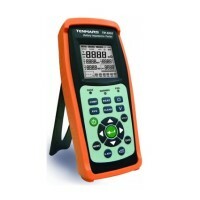 TM-6002 is an ideal tester for automotive, UPS maintenance and telecommunication applications. 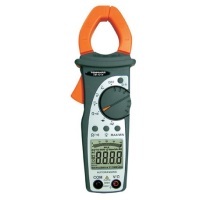 – Simultaneously display the results of battery Impedance, voltage measurements. – Built-in comparator function to rate the conditions as pass,warning or fail. Battery capacity : 0 to 500A / h.
Manual Data memory : 999 data sets. 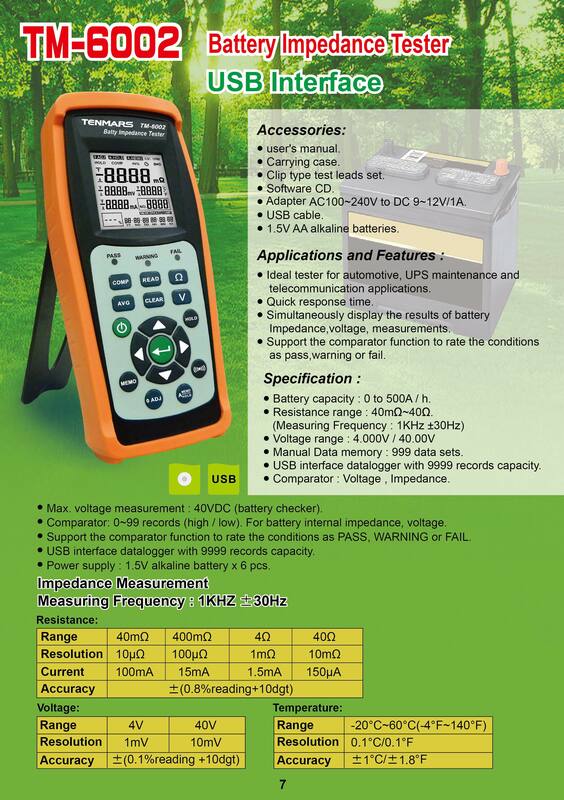 USB interface datalogger with 9999 records capacity. Comparator : Voltage , Impedance. Max. voltage measurement : 40VDC (battery checker). Comparator: 0~99 records (high / low). 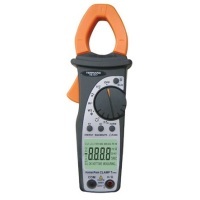 For battery internal impedance, voltage. Support the comparator function to rate the conditions as PASS, WARNING or FAIL.